Before you start to formulate a discipline plan, it is important to consider that each classroom situation may be different from one another, each day may present different problems, a strategy that worked yesterday might not work today. It is a matter of developing a series of strategies that you can draw from. Nine models of discipline are included in this module to help you formulate your own discipline plan. However, before you proceed to develop your own discipline plan, it is necessary to distinguish between acceptable classroom behavior and unacceptable behavior – what is referred to as misbehavior. Behavior may be defined as all the physical and mental acts that humans perform. Thus behavior is whatever one does, whether good or bad, right or wrong, helpful or useless, productive or wasteful. In contrast, misbehavior is a label applied to any behavior that is considered to be inappropriate to the setting or situation in which it occurs. Most classroom behavior is considered to be done intentionally by students, when they know they should not do it (Charles, 1989). Aggression, physical and verbal attacks by students on the teacher or other students. Immorality, acts such as cheating, lying and stealing. Defiance of authority, where students refuse, sometimes hostilely, to do what the teachers tells them to do. Class disruptions, such as talking loudly, calling out, walking about the room, clowning, tossing objects, and so forth. (Most class behavior rules focus on this category of misbehavior). Goofing off, fooling around, not doing the assigned tasks, daydreaming, etc. Teachers agree with the levels of seriousness shown here for the five categories of misbehavior. Indeed they are very concerned input aggression, immorality and defiance and dread having to deal with them. But in practice, the amount of time and energy expended on dealing with misbehavior, even in the urban classrooms typically seen as more problematic, is heavily weighted toward the less serious actions such as goofing off and disrupting. Charles, C.M., 1989, Building Classroom Discipline: From Models to Practice, Longman Inc, New York. Classroom rules are an essential part of any discipline plan and all classroom rules must be stated positively. Students must also understand these rules in order for any plan to be effective. Work quietly and independently at your desk until you have completed your work. The first component is providing each student in the class with positive feedback. Sprick states that this component is the most important one. Sprick proposes that by giving each student positive feedback can the teacher truly motivate each student to do his or her best. The second component is systematically providing positive feedback to the class as a whole. This procedure demonstrates to each student the need to work cooperatively as a member of the class, in addition to working as an individual. Through this component, the teacher helps students learn to cooperate, work as a team, be supportive of one another, and engage in positive peer interactions. The third component involves a group contingency plan whereby the entire class “owes time” for engaging in certain types of misbehavior. This part of the plan punishes the class as a whole so as to reaffirm to students the necessity of working together and cooperating with one another. It also helps students learn the borderline between acceptable and unacceptable behavior in the classroom. The fourth component involves instituting the owing-time strategy for individual students who have misbehaved. This element of the plan is designed to teach students that there are consequences for violating classroom rules. Students will learn that they may misbehave if they choose; however, they must also face the consequences if they do. The fifth and final component is a simplified version of the discipline plan, which can be left for a substitute teacher. This component includes an explanation of the plan’s approach and instructions on how to implement the plan in your absence. The information can be simply left in a place where the substitute teacher will readily find it. Sprick, R., 1981, The solution book: A guide to classroom discipline, Science Research Associates, Chicago. Many teachers, especially new teachers, struggle with classroom discipline. The Teacher Matters website and Apps are designed to provide teachers and teachers-in-training with the tools and information to assist in understanding many of the issues faced in the classroom. Nine contemporary models of discipline from theorists such as Rogers, Glasser, Dreikers, Jones, Redl & Wattenberg, Kounin, Canter, Ginnot, and Skinner. An interactive analysis tool to assist in discovering what discipline approach you tend to favor. This analysis tool is based on Wolfgang and Glickman’s Beliefs on Discipline Inventory (1995). Information focusing on creating discipline plans. Articles that may be helpful in understanding behavioral problems. Both the App and the Subscription-based website contain the same content. To access this information you can either purchase a Subscription or download the relevant App. 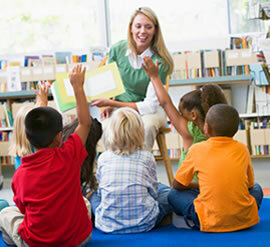 Classroom Management may be defined as the wide variety of skills and techniques that teachers use to keep students organized, on task and academically productive during a class. When classroom management strategies are effective, teachers minimize the behaviors that impede learning for both individual students and groups of students, while maximizing the behaviors that facilitate or enhance learning. 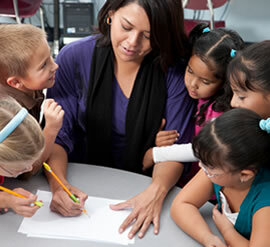 Five important roles teachers undertake in the classroom, including communicating, planning, motivating, controlling and organizing. First year teaching tips which focuses on information designed to assist those who are either teachers-in-training or first year teachers. 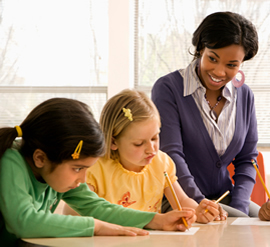 Classroom management tips designed to assist in the day-to-day management of the classroom. Starting the school year contains information and some wisdom from those who have experienced their first year as teachers. Both the App and the Subscription-based website contain the same content. To access this information you can either purchase a Subscription or download the relevant App.